Recently I have been moving homes, and with moving I have found a lot of things I'd forgotten I'd bought, like 10 different styles of ice pop moulds. So now that I have found all this 'new' stuff, I thought it was time to use them. 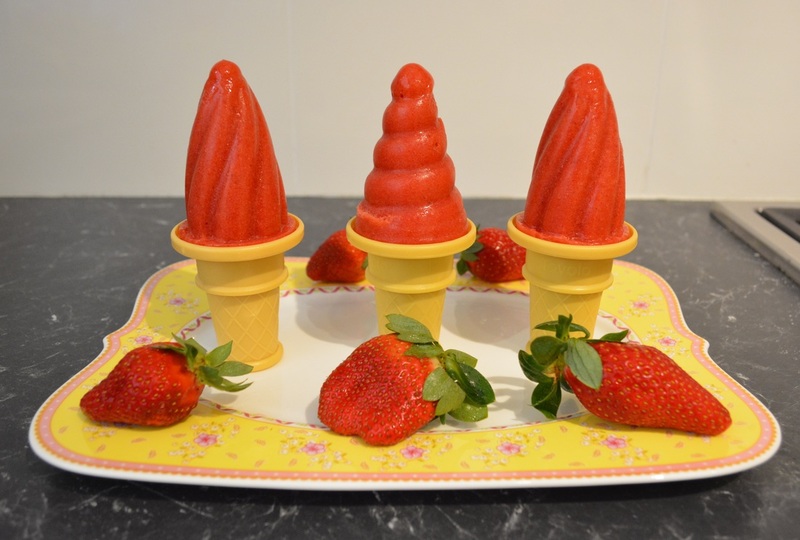 My kids love ice cream, they love ice blocks, so I decided to try a whole assortment of new recipes that I think my kids will like. And since doing so they have not asked for store bought ice cream or ice blocks, even though they are in my freezer, they absolutely love the ones I have made. This one is the healthy one. Three ingredients, super simple, and tastes great. 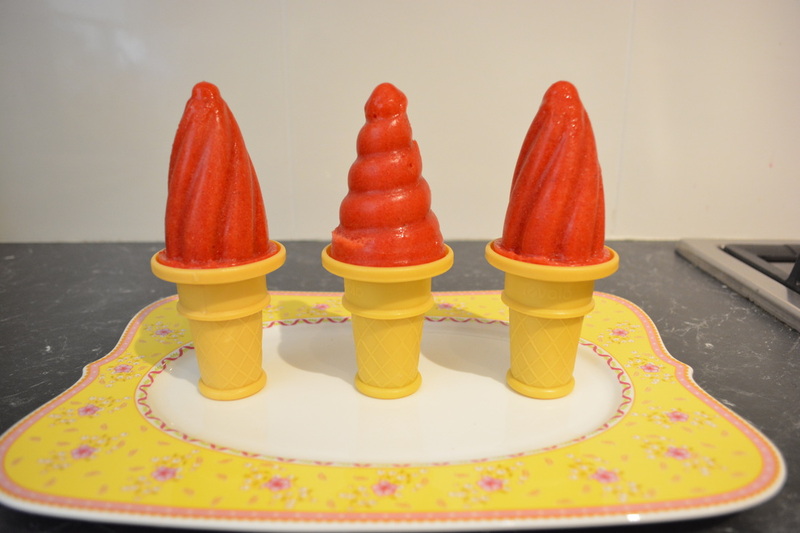 I have stated that it makes 6 ice pops, but it does depend on the size of your moulds. This is a recipe that you can double. You will need to freeze the banana first, but in all honesty I have also made this with a fresh non frozen banana and it worked just fine. Now with the warmer weather heading our way, try these especially when strawberries aren't that expensive. Place all the ingredients in a blender and blitz on high speed until smooth. This takes 1-2 minutes. Taste the mixture, you may want to add a little sugar or agave nectar if you think it needs a little more sweetness, it all depends on the ripeness of the banana or how sweet the strawberries are. Pour into ice pop moulds, put in your stick, and freeze until frozen. (If you don't have moulds that has a slot for the sticks and you are just inserting wooden ice block sticks, just freeze the ice pops for 2 hours until it has started to freeze, then put in your wooden sticks and place back in the freezer until frozen, I like to leave them overnight). To take them out of the moulds, run the moulds under hot water for 30 seconds to a minute, then slide of the moulds.